Our mission is to seize opportunities, collaborate and support to learn from our customers, suppliers, and each other. President and Owner of Pioneer Service since 1993, Aneesa learned centerless grinding as a youth in her parents’ shop. 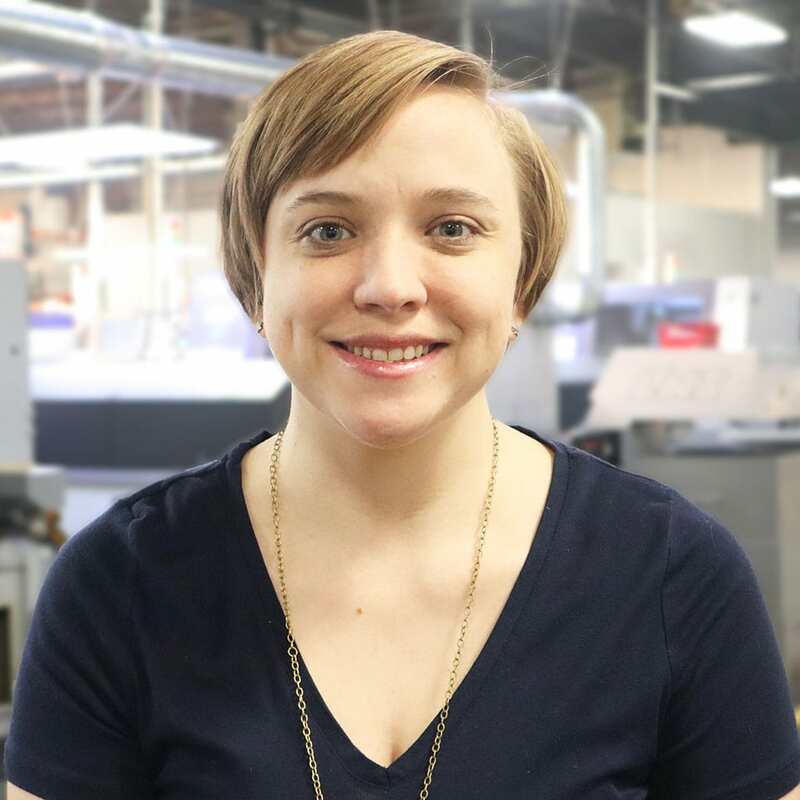 She credits her company’s steady growth to exceptional workmanship and her team’s ability to adapt to new trends and technology. 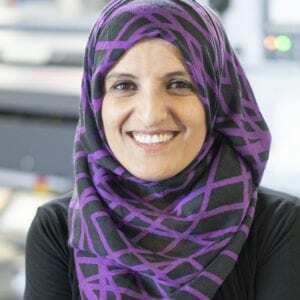 Aneesa believes the future of manufacturing hinges on outreach to tomorrow’s professionals while dissolving the old adversarial mindsets of “women versus men” and “millennials versus boomers.” The mother of two sons and three grandchildren, Aneesa draws inspiration from her own mother, who never backed down from adversity or failed to put her loved ones first. 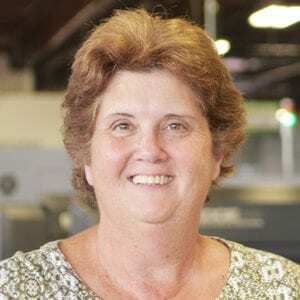 Beth brings over 25 years of sales and marketing leadership in manufacturing companies to Pioneer Service. She works to harness the team’s expertise and passion for quality and service in an effort to drive the continuing success of our company. From meeting with current and future customers, to refining our digital footprint, Beth develops and executes the plans that strengthen our partnerships with both clients and suppliers. When she’s not working, she can often be found combining her love of photography and travel, sitting down with a book to learn something new, and spending time with her family. John joined Pioneer Service in December of 2017 and directs all manufacturing and building operations. His more than 20 years’ experience spans everything from Brown and Sharp Screw Machines to the latest CNC equipment. A master of CNC programming, John’s mastery of CNC programming and his ability to bring out the best in others will drive Pioneer’s continuing expansion into the Swiss market in 2018 and beyond. When not making chips, John enjoys watching sports and spending time with family in the northern woods of Wisconsin. Chris applies his wealth of experience in implementing & maintaining ISO & AS9100 to instill an efficient & effectively functioning quality management system. He plays a critical role in assuring consistent quality parts during the entire part production process from Engineering Change Control to customer delivery. 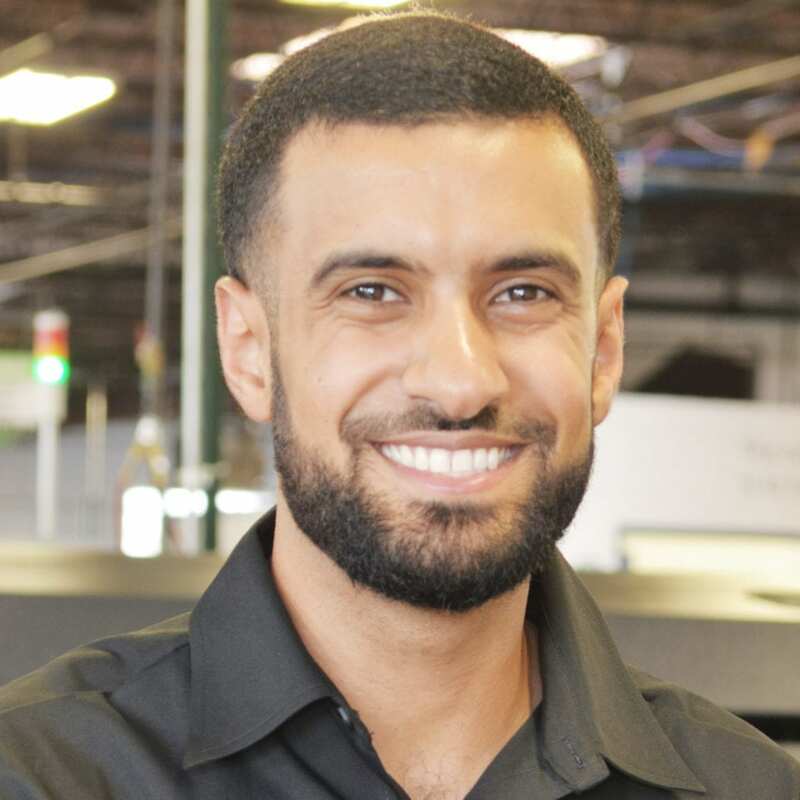 His broad firsthand knowledge servicing Tier 1 automotive & leading aerospace customers and a variety of manufacturing processes such as CNC, laser, turret, stamping and many others are utilized daily. Chris’ motto is, “You can’t inspect a bad part to be good part”. In his free time, Chris enjoys running half-marathons, biking, and golfing. With Pioneer Service since late 2014, Alma oversees multiple vital roles. A lover of details and numbers, she handles accounts receivable, accounts payable, and grant money, but also assists with tasks related to human resources. When out of the office, Alma loves spending time with her two daughters, cooking, reading, and having laughs with friends and family. 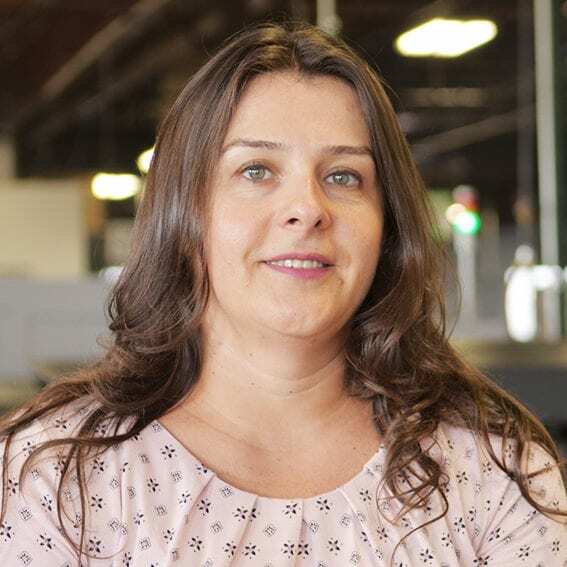 With over 5 years in Customer Service, Laurel joined Pioneer Service in 2018 to lead our customer support and development activities. 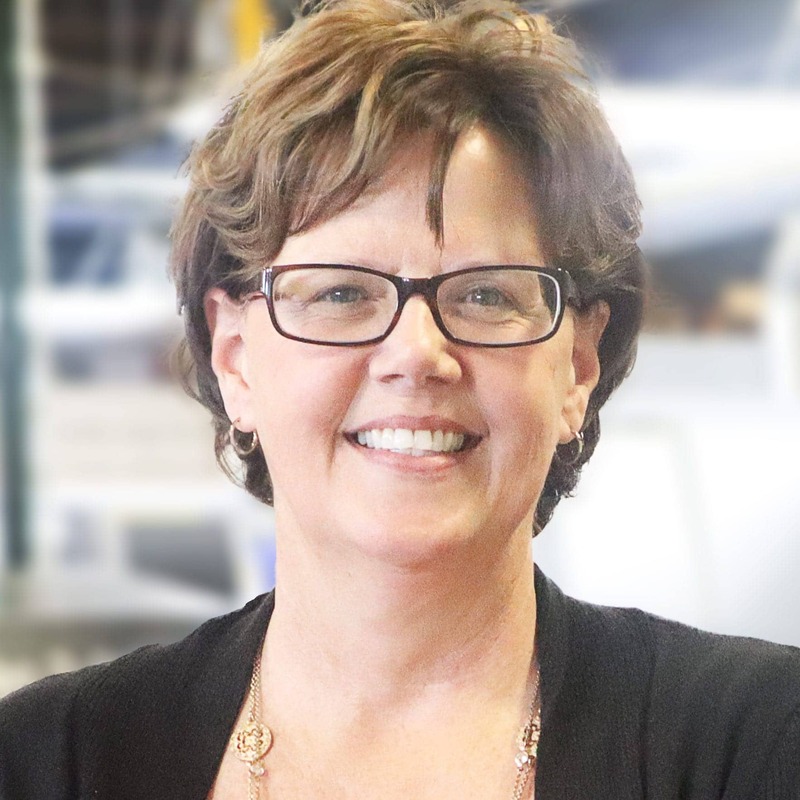 She works closely with our clients every day to ensure that we meet and exceed expectations on current programs and planning for their future projects. When she’s not locking down details for our clients, she volunteers her time helping refugees as an ESL tutor, makes time for her middle school nephews and keeps track of her 22 year old parrot, Pippin. Integrity matters more than profit or reputation. Diversity gives us strength. Respect it and each other. Never stop Learning. Seek continuous improvement and learn from mistakes. Leadership means setting a high standard and living it every day. Outreach will close the gap. Highlight the promise of manufacturing to all. Safeguard our livelihood with Stewardship. Protect the industry and our partners. Everything – our partners, our success, and our legacy – depends on Quality. Alfredo brought over 20 years of industry experience when joining Pioneer Service in 2016. With knowledge spanning everything from old cam machines to the latest CNS Swiss equipment, he generates layouts, tools sheets, and programs. He also assists with process design. In his free time, Alfredo practices long-range shooting and spends quality time his wife, two sons, and two granddaughters. For over 20 years, Ellen’s taken care of the countless little things that make life easier for everyone at Pioneer. Known affectionately as “everybody’s mother,” she files, makes calls, plans events, deals with suppliers, brings breakfast, and has babysat two generations of the team’s children. Although new to Pioneer as of 2018, Joan is an industry veteran bringing over 33 years’ experience in quality management and supervision. 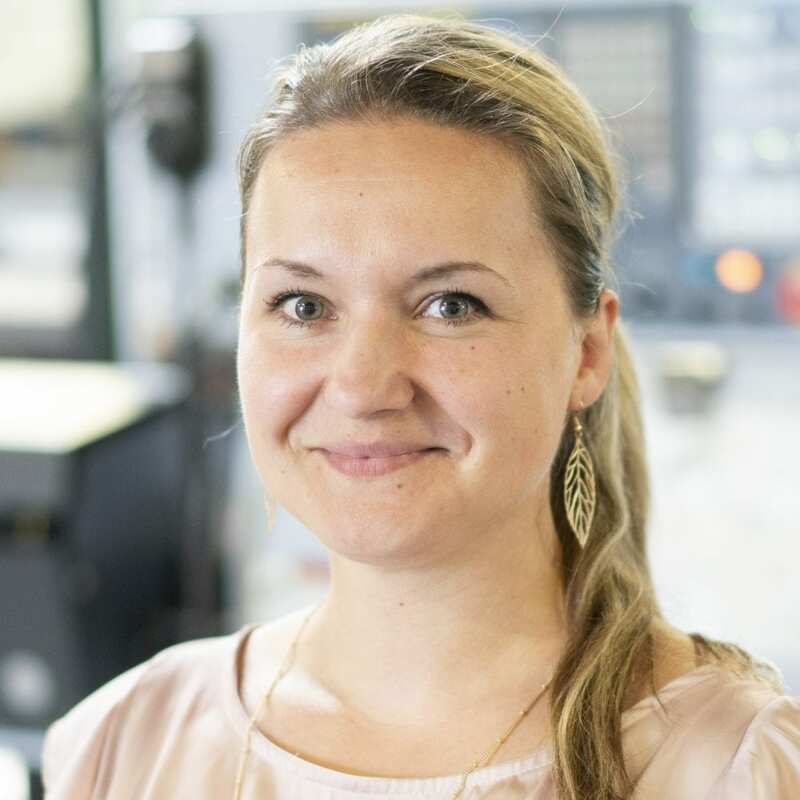 She helps safeguard our adherence to international automotive and aerospace standards (PPAP), and trains our other technicians how to excel in safety, inspection, and lean manufacturing. She lives by the motto, “Teach me, I want to know.” To recharge her batteries, Joan gardens, spends time with her daughter, and gets furry kisses from Wookie, her pet Shih Tzu. As the son of President Aneesa Muthana, it’s natural to think his destiny lays with the industry. Like his mother, he spent his early years bouncing between school and time on the shop floor. Yousef served in the United States Army as an Explosive Ordnance Disposal (EOD) Technician in the US Army for 7 years, and currently studies Mechanical Engineering at the University of Illinois at Chicago (UIC). Jason began his writing career in 1994, when his father suggested becoming a technical writer because “it has a bright future.” Around two decades later, Jason finally took his father’s advice began writing “How To”s and the occasional white paper for various software companies. In 2017, he found his way to Pioneer Service, where he writes for a variety of purposes and champions the Oxford Comma. 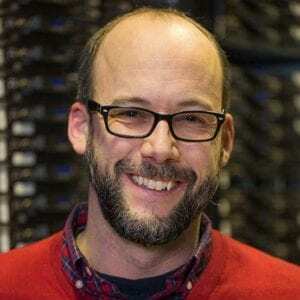 When not writing, Jason enjoys board gaming, softball, and being held hostage by his family of three rapscallions and his lovely auburn-haired wife, Courtney. Pioneer Service can provide you big-business results with a small-business approach, we are a screw machine shop that you can trust.